The Lion of Boaz-Jachin and Jachin-Boaz (1973), Hoban's first novel for adults, was widely acclaimed by critics and earned comparisons to the works of Tolkien and C. S. Lewis. Written in lyrical magic realist style, it tells the story of a map-maker's separation from his son and their search for each other, as well as for the lions that no longer exist in their world. Its successor Kleinzeit (1974) is a hilarious, surreal and completely unpredictable novel about one man’s search for reality. Often described by Hoban as his own favourite of his books and "the one in which I found my voice", it sees its eponymous hero get fired, booked into hospital and fall in love with the beautiful ward sister all within the first few pages, and both the momentum and linguistic inventiveness never let up. 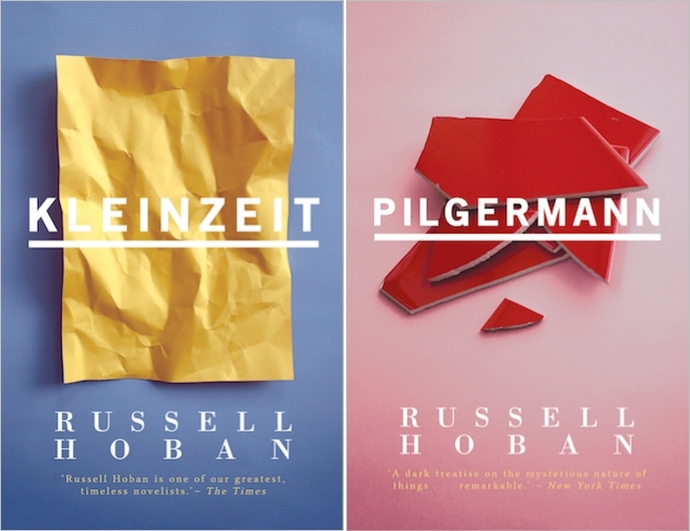 Pilgermann (1983) was Hoban's first novel published after his classic Riddley Walker. By turns visionary and nightmarish, but still as beautiful as anything Hoban ever wrote, it relates the tale of a German Jew in the year 1096 who ravishes the tax collector's wife and is attacked by an angry Christian mob in retaliation. Bleeding and left for dead, Pilgermann experiences a vision of Jesus Christ and resolves to set out on a journey to the Holy Land. Never an easy read, it's nonetheless spiritual and highly rewarding.